Relief Society sisters from the Lichfield Stake met together to provide help for a local women’s refuge. Quite often, when women arrive at the refuge, they have no possessions apart from the clothes that they are wearing. These women, who are generally fleeing abusive relationships, often have children with them and these youngsters can be upset and distressed. In order to help these needy women and children, it was decided that the group would create and donate some ‘welcome packs’ to the refuge. 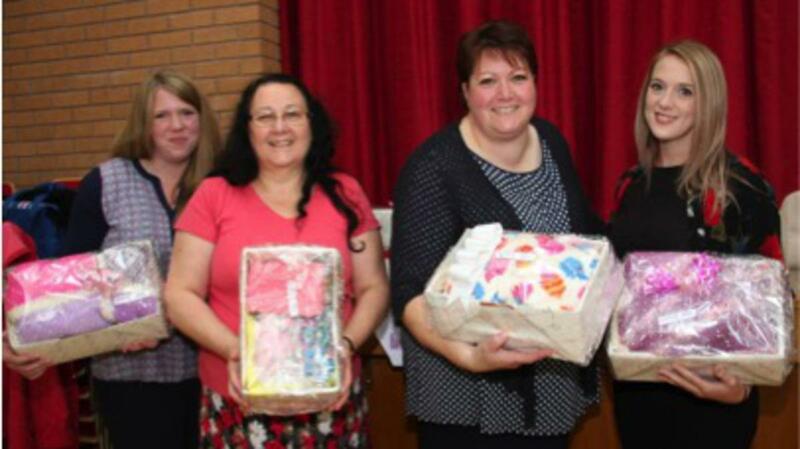 For the women, these packs contained essential items such as soap, deodorant, shampoo, conditioner, shower gel, toothbrush, toothpaste, flannels, wash bags and tissues as well as sanitary items, socks and hair accessories. These items were put into decorated shoe boxes. For the children, their ‘welcome packs’ contained colouring books and crayons, sweets and toys. The women’s group from the Church also made blankets, either knitted or sewn, to add to the boxes in the hope that they would bring some comfort to the children who find themselves in such difficult circumstances. A total of 133 boxes were decorated and filled. When there were no boxes left, the remaining items were placed in four large carrier bags and distributed to other worthy causes. Providing compassionate service in this way proved to be uplifting and inspiring for all those who were involved. The lives of the women and children in the women’s refuge will be just a little easier due to the kindness and generosity of the women who volunteered to help.